This month's book was the delightful A Homemade Life: Stories and Recipes From My Kitchen Table by Molly Wizenberg. Most of us wanted to start cooking from this book immediately. Even a newbie who admitted to not having a great relationship with food was inspired by the author's love of food and how excited she was about it. We loved how comfortable this book felt, not so much like an formal bestseller, but a cozy invite into the author's kitchen. The back stories for the recipes were appreciated, described by one person as "sidekicks", as was the openness about the inspiration for the recipes and the non-secretive attitude. Folks like the little tips, such as how long things should sit for optimum flavor. Creative use of materials was also appreciated (such as the yummy pickled grapes). And people loved that it really felt like you could cook any of these recipes. Her blog Orangette is very similar to the book, but as one person said, "with far more pictures!" It is well worth checking out, and you can sign up to get it delivered by email. It was all ever so tasty! There was some talk of trying to get together a group outing to Molly and Brandon's restaurant Delancey, but it would be challenging to get a table for so many of us. 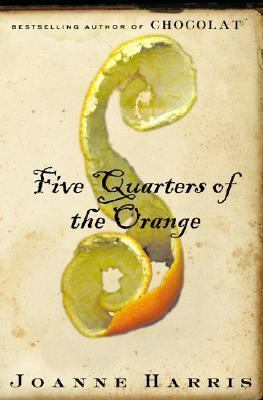 Next month we are reading Five Quarters of the Orange by Joanne Harris. Unfortunately we are already out of copies...but if you go to half.com you can get it for as little as 75 cents (plus shipping). Our meeting will be Monday October 10th at the Mountlake Terrace Library from 6:30-8:30. It looks like it was a very successful book group meeting this month. I agree with the comments made by others. What a fun book and blog!